Whether you’re travelling to Durban or you live here and are keen on exploring your city, the driving can be a deterrent. You’ve got to worry about hiring a car, making sure it fits your needs or space requirements, consider which routes to take and if you’re not familiar with the area you’re visiting you have to rely on sometimes unreliable technology or GPS to help you navigate. Not to mention the fact that you’ve got to focus on driving safely which leaves you with less time and opportunity to focus on the world around you and parking takes a considerable amount of searching and driving only to be bested by mini and smaller cars when you think you’ve finally found a spot. 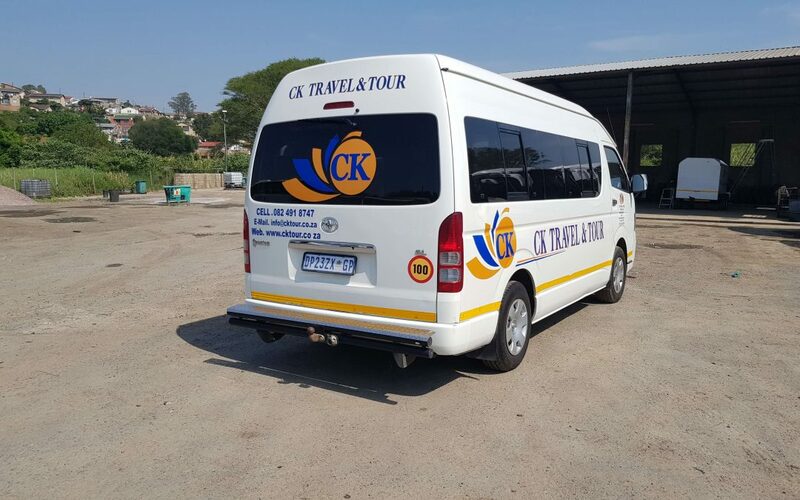 It sounds like a logistical hassle which is why we continue to offer our private transportation services but if you’re not sold on the idea just yet, we’ve compiled a list of fun activities to do in and around Durban from the time you land until you leave all while your transport and shuttle needs are taken care off. With so many fly-by-night private transportation companies we can safely say we have a reputable and long-standing reputation to ensure we always give our client the best and most comfortable transportation. When you arrive at the King Shaka Airport after a long and tiring flight you can rest easy knowing that we will be there waiting for you to arrive. This can be comforting to know especially if you are in a large group as smaller cars and rideshares cannot handle many passengers or lots of luggage and we understand the daunting feeling you may experience when you’re in a new city with no way of knowing how you’re going to travel. An experienced and professional driver will be waiting for you when you arrive in a comfortable and safe car. We offer one of the best airport pickups in Durban. Getting from the airport to your hotel can be a long drive if you’re unaware of the route but one of our experienced drives can navigate you to wherever you are without having to worry about getting lost or compromising your luggage’s safety or your own. Your driver can drop you off at the doorstep of your hotel and ensure you arrive safely because travellers are usually easy targets. You’re here, now what? Well, there’s so much to do in and around Durban. You can choose from a Safari tour, visiting the lovely and warm beaches Durban has to offer or travel to one of South Africa’s game reserves. With so much to offer, we’ve listed some of the best places to eat, play and see in Durban. Besides having a host of international and local brands Durban’s malls also have wonderful cuisine and delicious food, not forgetting the famous Florida Road which has a Starbucks, a Rocomamas and a Pizza Hut within walking distance. Durban also boasts a Krispy Kreme and other well-known food industry names but it doesn’t stop there. The food scene in Durban also extends to night markets where vendors sell gourmet food. This is the best example of when a personal driver is best used. You can go out, enjoy a night on the town and feel safe knowing that you have a sober and trusted driver taking you home or to your hotel at night. If you’re interested in enjoying a casino, Suncoast Sun and Sibaya are two of Durban’s best and most amenity-worthy casinos. Both located in scenic locations with Suncoast having a cinema as well as being located on a beach. Sibaya also has spa and massage experiences available for guests. Durban’s nature locations such as Paradise Valley and Giba Gorge are wonderful locations to see and visit. They’re close enough to be a short-day trip and yet far enough from the bustling city centres Durban is well known for so you can escape the concrete jungle for a while. Now that you have some idea of what to do around Durban should you choose to explore the wonderful city, here’s a few more reasons why you should consider luxury chauffeur services the next time you’re in Durban. You can maximise your time. Instead of driving you can use the time you have a passenger by making calls, reading or be bold and catch a power nap. You no longer have to stress about driving and navigation so you can even use your extra time planning your next activity or simply looking out the window and catching a glimpse of the Durban landscape. Less stress, frustration and danger. Driving can be stressful and even dangerous including traffic jams, confusing navigations and bad drivers, a private chauffeur allows you to sit back and relax knowing that you’re in the safe and reliable hands of a driver. No more stressing about parking. Towns and cities are great for being convenient they are often a nightmare for finding parking. With a driver, you can be dropped off right where you need to be and collected as soon as you’re done without having to park 20 minutes away from where you need to be and hiking to your destination. You’ll always be on time and you don’t have to worry about planning the route since your professional driver will be in charge of that. You can relax knowing that all the details of your trip including taking into account peak traffic times and weather to ensure you get where you need to go on time and safely. Knowing that you don’t have to worry about cleaning and repairing your car should you hire one is one less thing you have to worry about when you hire a professional driver since they take great pride in the appearance of their vehicles. You can stay out later and not have to worry about being too tired or tipsy to drive back safely. And lastly, you don’t have to worry about having any space. We have options for large groups of people as well as smaller ones. Contact us today for your traveling and chauffeur needs knowing you can explore safely, comfortably and reliably.